Towering Athletes to carry the Olympic torch. 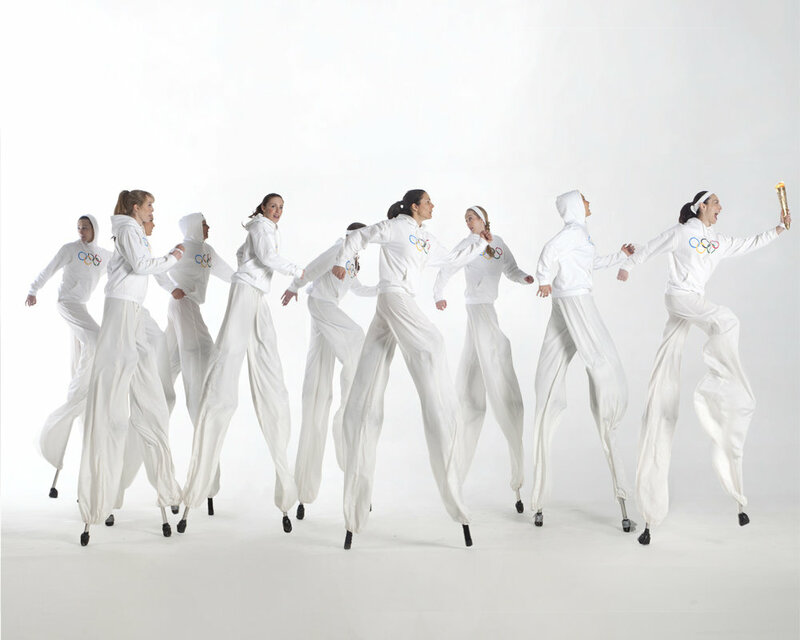 These pristine and versatile costumes can be styled to represent a wide variety of sports, and worn by stilt walkers or on foot making them suitable to perform all of our skills. A versatile stilt act, great for welcoming audience, performing sport inspired dance-about, arranging races or asking audience to judge competitions between themselves. Heaps of fun accompanied by the Chariots of Fire theme, emanating from their own portable music system. Strong in all kinds of settings, from awards Ceremony performance to Street Festival entertainment.